Mahindra XUV 700 India launch scheduled for 19th November! The Mahindra XUV 700 or the Y400 premium SUV based on the G4 SsangYong Reston is likely to launch in India on the 19th of November this year. The Mahindra XUV, an all-new flagship product from the homegrown automaker is all set to make its official debut in India by the end of this year. A recent media report states that the launch of this premium SUV is likely to take place on the 19th of November this year. An official confirmation from Mahindra in this regard is yet to come. The Mahindra XUV 700 (Read More), or the Y400 (codename), is based on the G4 SsangYong Reston SUV. The current generation of the Rexton was not able to perform as expected in India. Hence, for the generation update in 2018, Mahindra, who owns the brand, decided to launch the same under its own brand name. So far, we do not have an official name for the Y400. 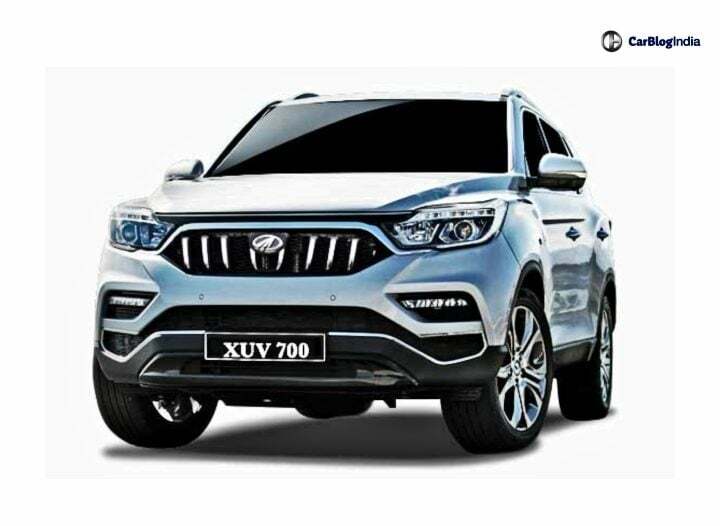 But there are speculations that it might be named as the XUV 700, in accordance with Mahindra current model line-up which includes the TUV 300 and the XUV 500. The Mahindra XUV 700 is going to sit above the XUV 500 in the automaker’s product line-up. As a result of this, it will stand as the flagship product for the brand in India. With the Marazzo, a 7-seater MPV launched recently by Mahindra, the homegrown automaker has shown us its new-age capabilities. A similar persona is expected from the Y400 as well. The interiors of this premium SUV are going to be very plush. It is going to get a leather upholstery with a dual-tone colour scheme. Electric seats, a panoramic sun-roof, multi-zone climate control and ambient lighting are some of the creatures comforts one can expect. In terms of its prices, we expect the Mahindra XUV 700 to fall in the range of INR 20 lakhs to 25 lakhs. At this price point, it is natural that this SUV is going to get a plethora of safety features on board. Hence, dual front airbags, ABS with EBD, side and curtain airbags, Electronic Stability Control, Hill Descent and Hill Assist and Traction Control along are sure shot inclusions. So far, we know that the Mahindra XUV 700 is going to come with a 2.2-litre diesel engine. This oil-burner will churn out 185 BHp of power along with 420 Nm of peak torque. As standard, this engine is going to come with a 7-speed automatic gearbox. There are chances that Mahindra might skip the manual gearbox altogether. Expect the mileage figures to stand around the mark of 11- 15 km/l. Also Read: Mahindra Marazzo Vs Toyota Innova Crysta- Which One Should You Buy? As mentioned before, the prices for the Mahindra XUV 700 are likely to fall in the range of INR 20 lakhs to 25 lakhs. As a result, it will compete against the likes of Honda CR-V, Ford Endeavour, Toyota Fortuner and Isuzu MU-X.